So, it was only a matter of time. 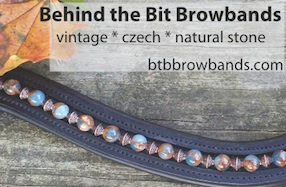 I finally started making my own browbands -- see my web site at btbbrowbands.com. Very exciting! I'm trying to use beads and designs that are different from what you normally see, and I would also do a custom browband (you provide the beads or your ideas). 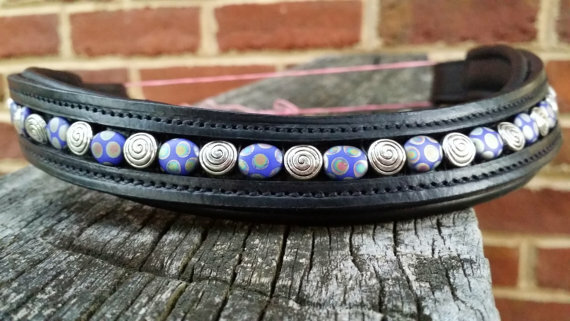 Below is a curved browband, 16", called Blue Peacock. the harlequin browband is amazing! love your aesthetic! i might even have to commission one from you!